If you are an Aspiring Youtube, This article is going to be useful for you. Because in this post we are going to list out some of the best video editing software that is also free to use. 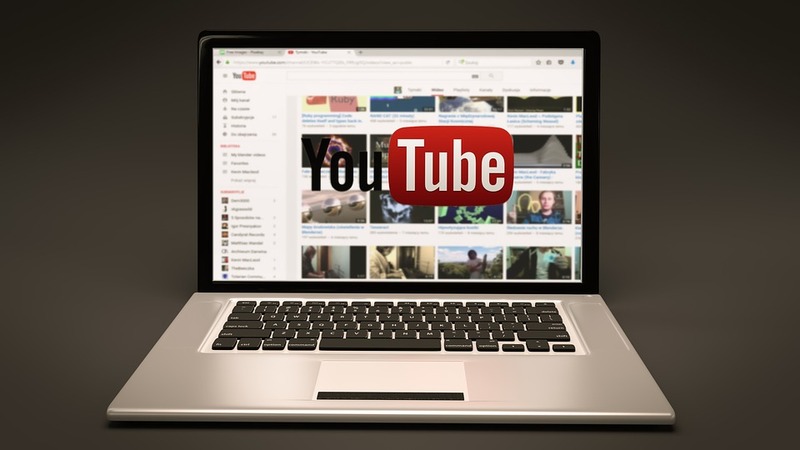 Knowing about free software is crucial when you’re getting started on YouTube as you don’t have a budget for buying a paid video editing software. 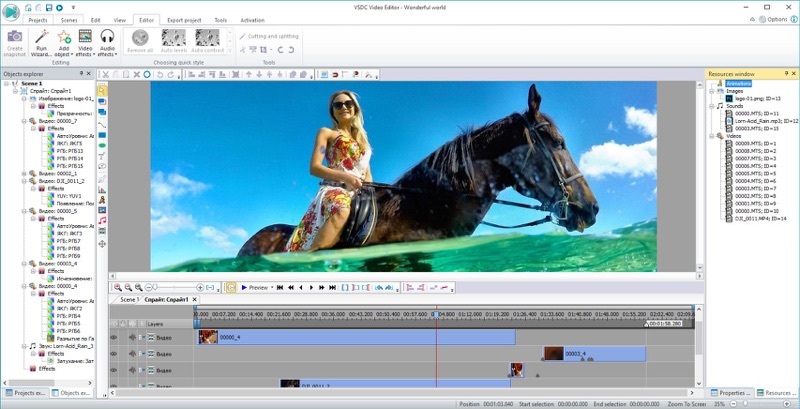 VSDC is a simple and lightweight (44.1Mb) software for Video Editing. And since the installation package is not heavy, don’t expect the UI to be pleasing to the eye. It is meant to get the job done, which it will. Thankfully the Free software doesn’t put any watermark on the export file. There is a Pro version of the software as well, which offers features like Video Stabilization, Hardware Acceleration. Windows users might be aware of the Classic video editor which was available to download for free. We all have used it in the early 2000s, it offered decent features to make decent home movies. Support has ended for Windows Movie Maker as it has been discontinued, but you can still download from non-Microsoft websites and install on your PC. This one comes free for Mac users. But the word free does not make it a basic software. It is capable of producing excellent videos. In fact, it has been built so beautifully that it is better than many paid video editing software out there. Either you are looking for creating videos for friends and family or you are looking to start a YouTube channel, iMovie is an amazing piece of software for video editing. It can be installed on Mac Computers from the App Store. The Hitfilm express is free and is going to cost you just a social media share click on this link to download HitFilm Express for free. Blender is actually more than just a video editor. It’s an Open Source 3D creation tool and video editing is a part of it. This software offers to edit more complex projects by allowing users to add up to 32 different slots for adding video, images, audio, scenes, masks, and effects. The OpenShot video editor is quite amazing. The best thing is, it’s cross-platform, available for Windows, Mac as well as Linux. The UI looks nice and easier to use. I saw a few video tutorials for the OpenShot video editor and it seems a complete package for anyone looking for a free video editor to create decent enough videos. If you are a YouTube and just getting started, this might be a useful piece of software for you. 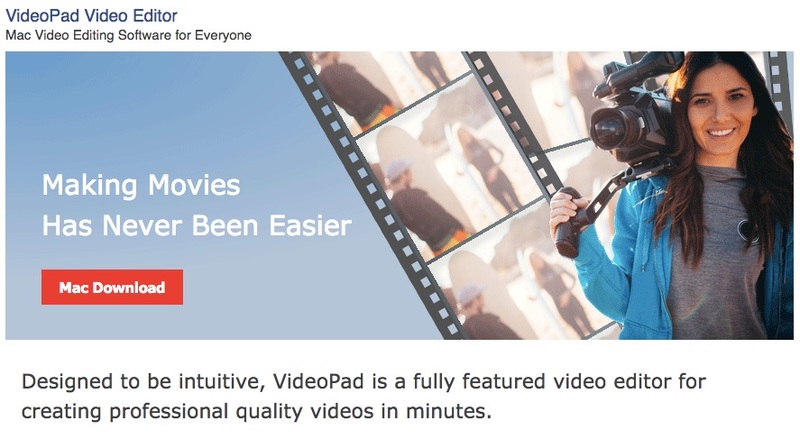 VideoPad is another cool cross-platform Video Editing Software. It’s cool and offers many features. Enough to create any type of video. It’s product page actually talks about a bunch of use cases for the Video Editing Software. Filmora is a freeware, it gives you all the features to use and the interface is also quite user-friendly. The good thing is it only ads the watermark at the end of the video. So you can use another tool to slice the end part and still have a decent video. Shotcut is another nice software that is free of cost and yet offers features that are only available in paid ones. The only downside of this video editor (as it the case with other awesome free video editors) is it’s UI, which is pretty basic. The software comes with a bit of learning curve, but if you are looking for a software that can do more than just adding a few clips and putting music in the background to make a video, then Shotcut could be your choice. The Tutorial page talks about how to use its different features, such as stabilizing a video clip, putting transitions, adding filters to the clips etc. Now let’s talk about the computers that are always here in our pockets. I am talking about our smartphones. These days our smartphones are powerful enough to be used as a primary machine to edit our videos on. 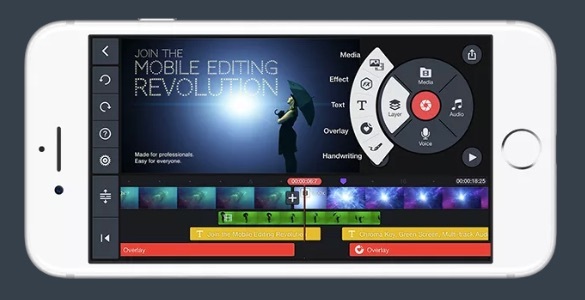 I have used two software that is mobile based and can produce great quality videos. Kind master is available for both iOS as well as Android, and it is available to use for free. The app supports multilayers which makes it easy to create stunning videos out of a bunch of raw footage. There are so many transitions available that you can add to your videos. You can also add background music. (Kinemaster). The free version will have a watermark on the bottom right-hand side of the videos, you can buy the premium version on a subscription basis which is at around $5 a month. Power Director is a stunning video editor app for Android phones, that is available in the Play Store. It is not as diverse as the kinemaster app but one benefit of the power director app is that it also supports 9:16 aspect ratio videos which are useful in creating Instagram story videos. Again the free version of power director app will put a watermark of its logo on the bottom right-hand side of the video, you can buy the premium version for a one-time payment of $8. 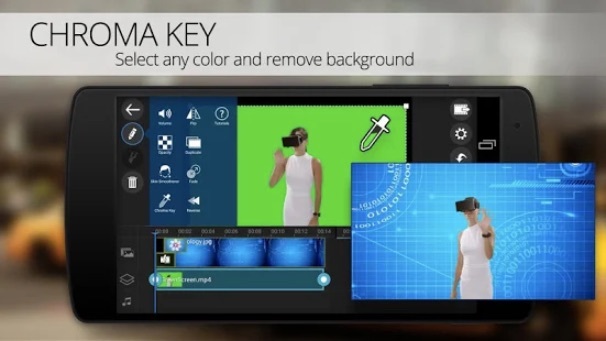 Both the Kine Master and the Power Director app now support Green Screen (Chroma Key) feature which allows you to change the background in the videos. If you need more help regarding the video editing guides and tutorials, you can check out Make a Video Hub. The website has got tons of tips and tutorials to get better at video editing. Using a web-based video editor would mean it would only work on files that can be uploaded to the cloud. Which might not be easy for every type of project. It is pointless to talk about such an option if you are planning to create videos out of out 2GB raw footage. But if you are looking to create videos for your Social Media channels, that viral kind of videos where there are only a few images and short clops and there is a lot of text moving on the screen. We’ve actually written about Lumen5, it’s a kickass web-based video editor. You can edit or upload your own images and clips to create nice looking videos for your Social Media Campaigns. Adobe Sparks is similar to Lumen5, offers an easy user Interface but is a little restricted when it comes to offering a bank of images and footage to use.